An Atlanta firm, representing clients throughout Georgia, the U.S. and beyond. Providing sound judgment and exceptional representation since 1952. Nall & Miller is one of Atlanta’s oldest and most respected law firms, representing global corporations, small businesses, medical and legal professionals, and individuals, alike. 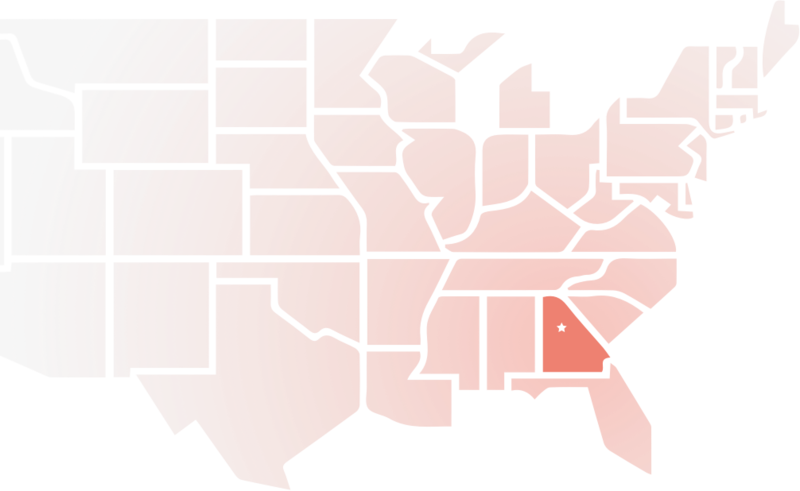 While maintaining a strong regional practice in Georgia and the Southeast, our attorneys have litigated in federal and state courts in nearly all 50 states, as well as Puerto Rico and the Virgin Islands. For nearly seventy years, Nall & Miller has delivered exceptional client service with unwavering integrity. By focusing on efficiency, creativity, and teamwork, we work to provide our clients with thorough, but cost effective, legal strategies to both resolve and try cases. At Nall & Miller, our attorneys have experience and expertise in a variety of practice areas. Please select any of the following categories to view a description of the type of work we do and the services we offer our clients. At Nall & Miller, our experience, thorough understanding of the law, and our commitment to our clients’ interests foster our ability to provide creative and strategic solutions. We are careful to keep our clients informed of all developments in a case, working closely with them to devise strategic resolution of claims and to avoid future litigation risks. Nall & Miller is our go to firm in Georgia. They are responsive, attentive to detail and bring excellent results. During my tenure as Chief Litigation counsel for Whirlpool Corporation, I was instrumental in selecting Nall & Miller as one of Whirlpool’s three national product counsel law firms. Nall & Miller rose to the top in a competitive selection process that included some of the most highly respected firms in the nation. Their continued representation is testament to the firm’s performance and continued excellent results. The attorneys at Nall & Miller have gone the extra mile to truly understand our industry and the unique issues that we face. As a result, for over ten years, we have entrusted some of our most complex litigation and catastrophic accidents to the firm. Time and again, they have proven their worth, both by obtaining excellent results in the courtroom and providing to us sound and practical guidance to keep us out of court. Pamela Blass Bracher, Director of Litigation & Leigh Anne Battersby, Vice President, Risk ManagementU.S. Xpress, Inc. Sometimes life challenges all of us as we so often know, and we all need the positive reassurance to get through what is challenging us. I just want to tell you how much your encouragement and confidence meant to me in this deposition. It helped me feel more confident of the process, and I was able to endure the experience with less stress. A job well done. I just wanted to thank you for all your hard work. Thanks to you I feel I was extremely prepared for my deposition. Awesome! You were impressive. Thank you for your hard work!